We work to change the misconception that spinal disorders can only be treated with surgical methods. We try our best to provide our safe, yet effective treatment to all those who need it. 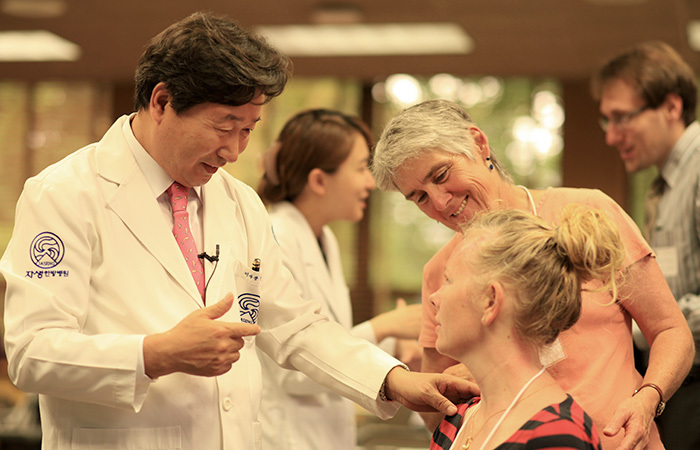 Not only Korean patients, but also patients from abroad have experienced positive results from Jaseng’s treatments. 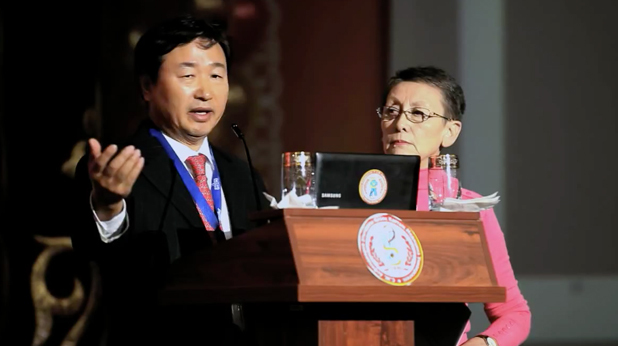 Jaseng Hospital of Korean Medicine is the largest network of hospitals for non-invasive treatment of spinal disorders in Korea.We are a medical group of over 20 hospitals and clinics located in Korea and the United States.We are home to 30 specialized clinics where 400 physicians strive to provide the best available care to our patients.1,260 inpatient beds are available for those who need intensive care. With non-invasive treatment methods unique to Jaseng, such as Jaseng herbal medicine, Chuna manipulation, and Shinbaropharmacopuncture, we treat 150 thousand patients a year with a total of one million treatment sessions a year. 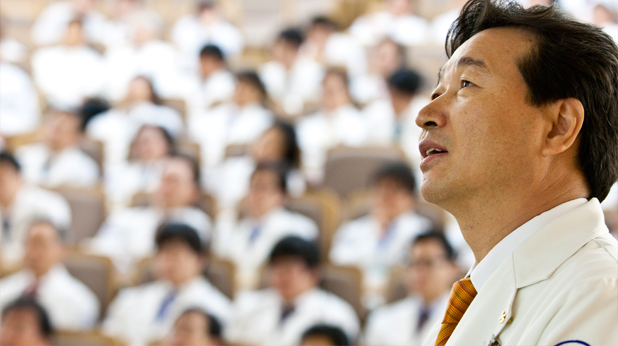 Jaseng is proud to be the pioneer in Korean Medicine treatment of spinal disorders with more than 20 years of accumulated experience. With our abundant data, we are continuing efforts to provide “scientific” explanations of our treatment. We have published the results of our investigations in many domestic and international journals. 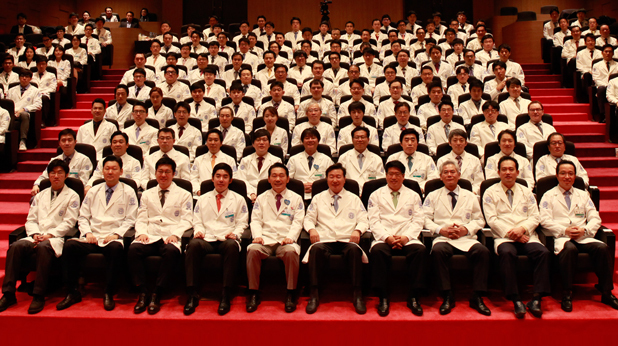 Jaseng strives to be the best hospital in the field of spinal disorders. We devote ourselves to treatment and research and work to provide the best available care for anyone in need of treatment. We are proud to be able to tell our patients that non-invasive care for spinal disorders is not a dream but a reality here at Jaseng. Spinal disorders are increasingly common in the general population today. Symptoms range from slight discomfort triggered in specific positions to severe pain that keeps the patient from being able to move at all. These disorders can be diagnosed accurately with modern diagnostics. Such diagnosis is a crucial part of determining prognosis. As much as it is important to identify the problem, it is even more important to identify the cause of the problem. Some possible causes could include internal problems such as “kidney deficiency,” “phlegm,” and “coagulant blood.” Problems with posture, daily habits (lack of exercise, imbalanced nutrition, smoking, and mental stress) can also be the cause of spinal disorders. Lumbar disc herniation, one of the most common problems patients have in the lower back region, is also caused by such degenerative changes. If muscles and/or ligaments are weak, this causes instability and imbalance, and discs at specific areas experience increased pressure. This hinders blood circulation to the area, causing deficiency of oxygen and nutrients. Exposure to repeated physical strains in this condition can cause tears in the fibers surrounding the discs (annulus fibrosus), thereby causing intervertebral disc herniation. It is likely that the cause of what could seem to be similar problems could actually be very different. Therefore, surgery and steroid injections, which do not address the root cause of the problem, cannot be an effective treatment for all. Only an intensive, integrative treatment program consisting of various methods to restore balance, decrease muscle tension, and control inflammation can treat the cause of the problem. Treating the cause of the problem, not just concealing the symptoms, is the key to relapse-free, persistent treatment results. Most spinal disorders are chronic problems; much time and effort is needed to overcome them. The goal of the treatment is not to restore the spine to its original state, but rather to help the patient return to their everyday lives with minimum pain. Another important part of treatment is to enlighten patients of rules they must abide by in order to maintain good health. Jaseng will help you understand your condition better, and we will work with you to set realistic goals that are best fitted to your needs. We look forward to working with you.